Visit the small business website to learn about no-cost services, On-Site and Online Resources, Programs, and Events. BDC (Business Development Bank of Canada) promotes entrepreneurship by providing highly tailored financing, venture capital, and consulting services to entrepreneurs. A financial institution owned by the Government of Canada and operates as a complementary lender to commercial financial institutions. An active agent working on behalf of manufacturers in the region. The MRC is a new and innovative service for manufacturers that ; enhances the performance of the local manufacturing workforce, improves knowledge of and access to programs and services, increases economic and workforce readiness, improves attraction and retention capabilities, and coordinates manufacturing labour activities. 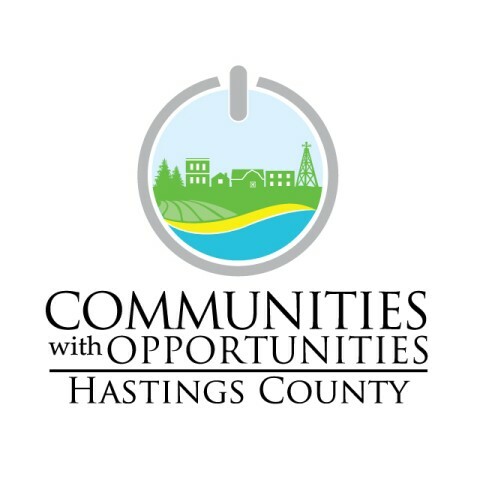 A venue for Hastings County businesses and professionals to network and share creative rural economy stories and experiences. Our events are held quarterly, free to attend and open to everyone! Expand networking opportunities and meet local business people. Committed to achieving a vision of "thriving rural Ontario, agriculture and food sectors". The Municipality of Tweed has worked with OMAFRA on rural funding programs, economic development programs, tools, and resources, infrastructure and broadband, and encourage local businesses to learn more about what they are doing to support Agriculture and Food.